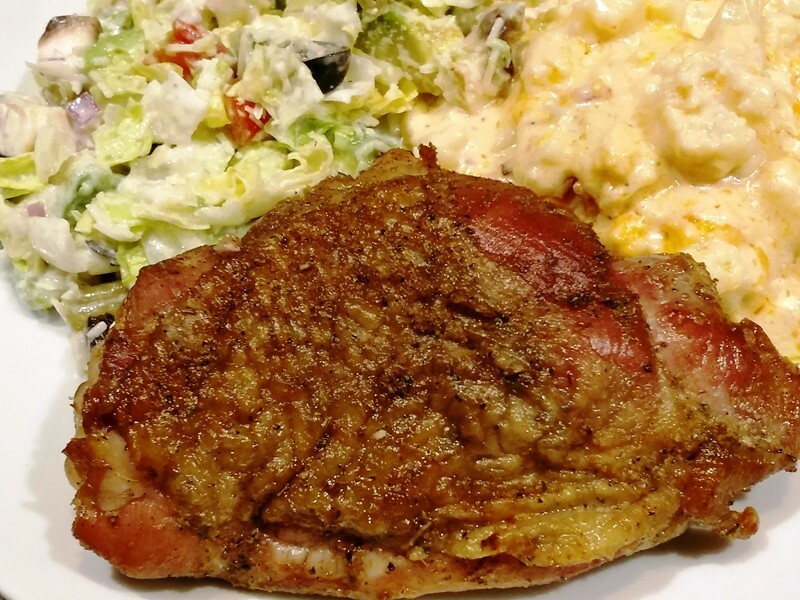 Smoked Turkey Thighs - I personally love turkey anytime of the year. So to my surprise I was elated to find a Manager's Special at my local grocery store of turkey parts - Wings and Thighs. I'm not a big fan of turkey/chicken wings so I opted for the bone-in/skin-on thighs. I really prefer the turkey dark meat. Not only is the dark meat extremely tasty but it's very forgiving when smoked/cooked. Unlike the turkey breast white meat, which must be cooked to an internal temperature of 165º - 170ºF, the turkey dark meat needs to be taken to an internal temperature of 180ºF. 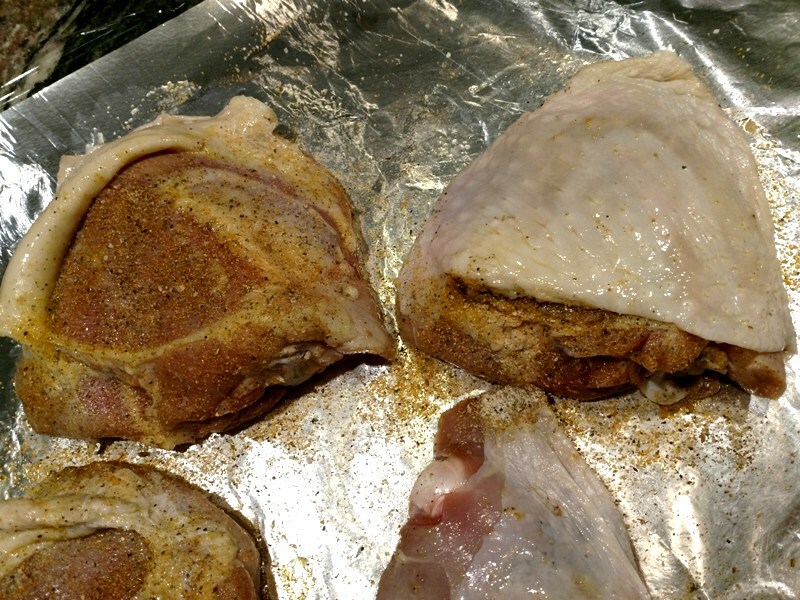 But if your thighs go a bit beyond the 180ºF range it won't dry out the meat and will still be very tender. It's very important to use bone-in/skin-on thighs versus boneless/skinless thighs. When smoking poultry/turkey the surface of the meat will become very though and leathery. 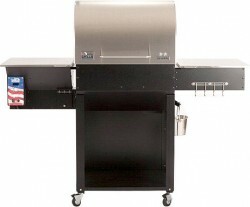 Cooking bone-in/skin-on poultry/turkey prevents this and keeps the meat moist. Make sure to season under the skin for maximum flavor profiles. Not only will you, your family, and friends enjoy a wonderful meal but you'll also find that it's very economical. 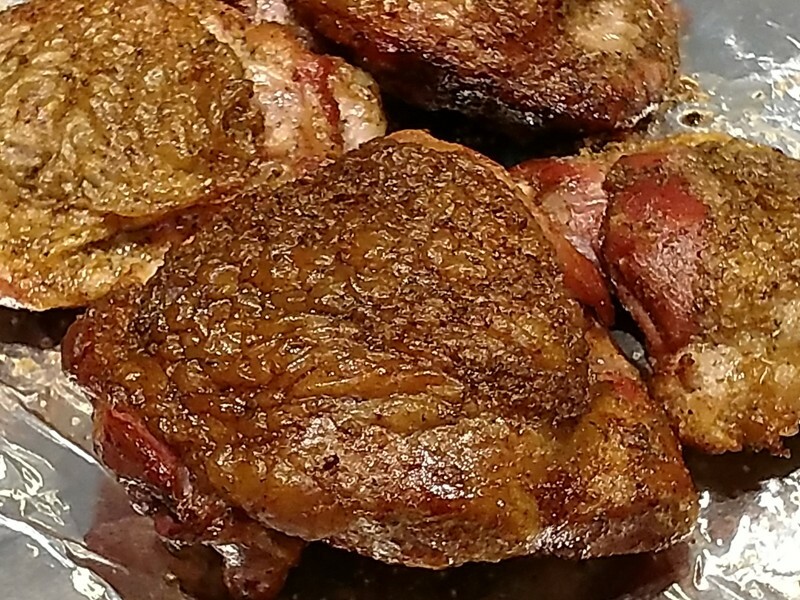 These turkey thighs were not only huge but they were 99¢ per pound. When was the last time you paid 99¢ per pound for any kind of protein? Picked up 4 thighs and one hickory smoked thigh was more than enough for the two of us. 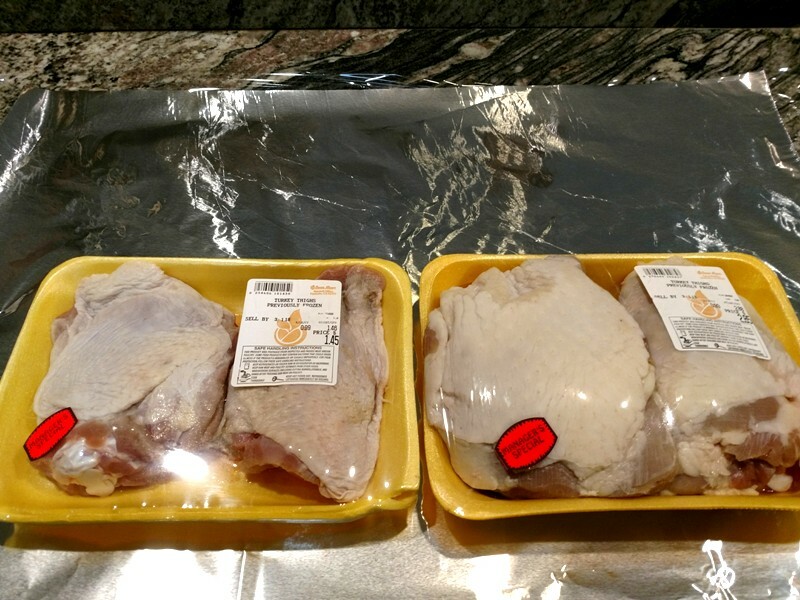 Vacuum sealed the other 3 thighs for future use in a casserole, salad, or as a main dish. 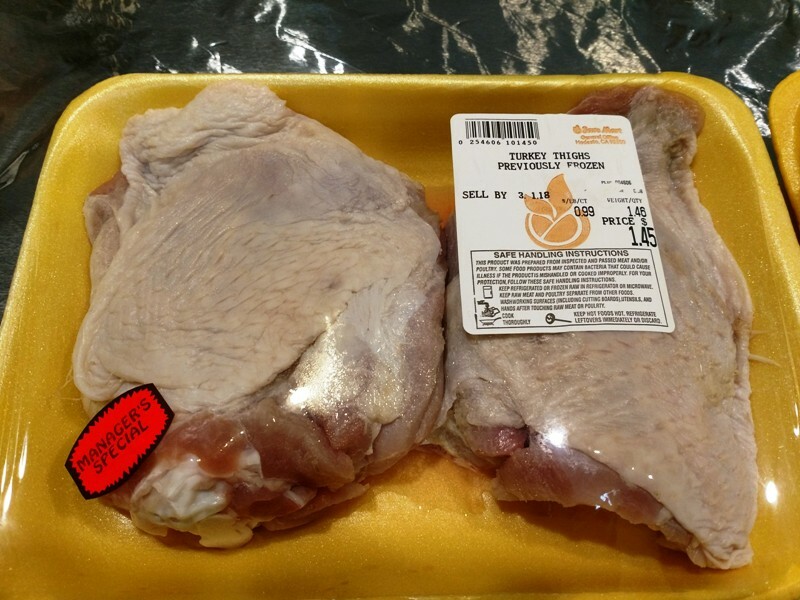 For under $5 we have enough turkey dark meat for 4 meals ... 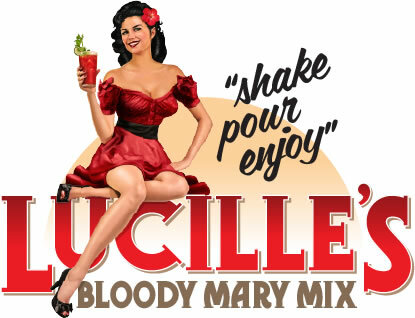 It doesn't get any better than this!! Trim any excess fat and skin from turkey thighs. Peel back the skin and rub extra virgin olive oil under and on the skin. 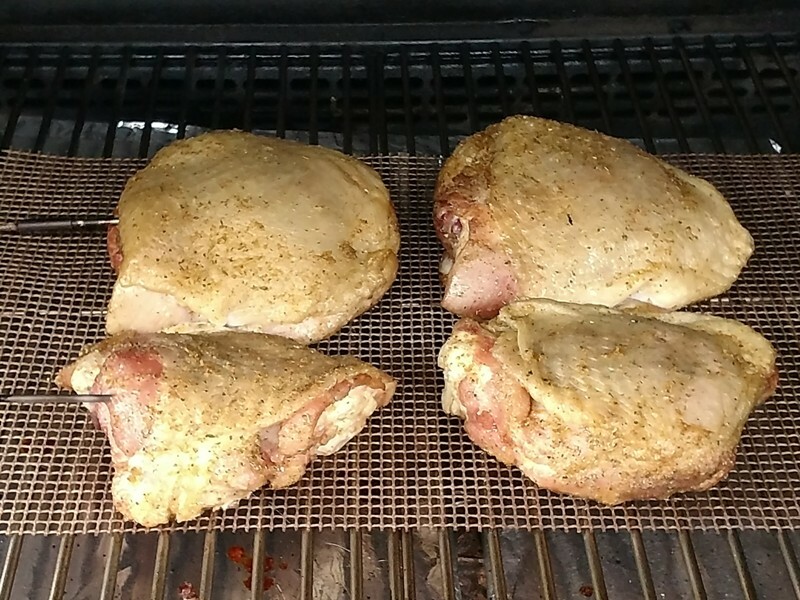 Season under and on the skin of the turkey thighs with Pete's Western Rub (you can find the rub recipe in my cookbook The Wood Pellet Smoker & Grill Cookbook) and McCormick Montreal Chicken seasoning or use your favorite poultry/turkey seasoning. My Pete's Western Rub is a great compliment to the Montreal Chicken seasoning. Wrap the seasoned turkey thighs in plastic wrap and refrigerate for 4 hours. 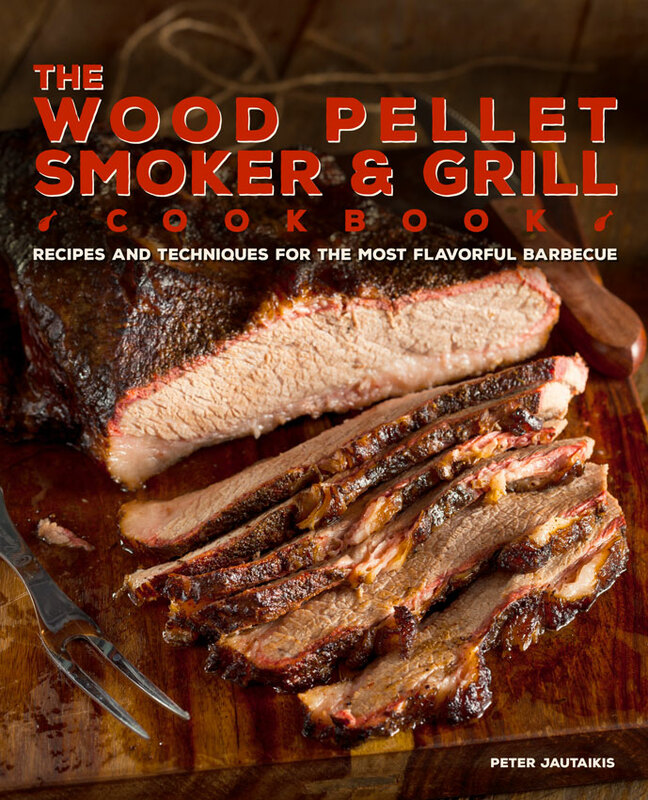 Preheat your wood pellet smoker-grill to 200ºF using Cookinpellets.com 100% Hickory pellets. Smoke the turkey thighs for 2 hours. Increase the grill temperature to 330ºF and pull the thighs when their internal temperature reaches 180ºF (about another hour). Rest the thighs loosely under a foil tent for 10 minutes before serving. Melt butter, add garlic, and flour over medium high heat.